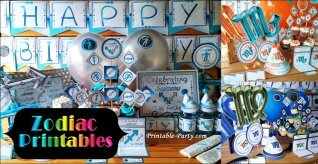 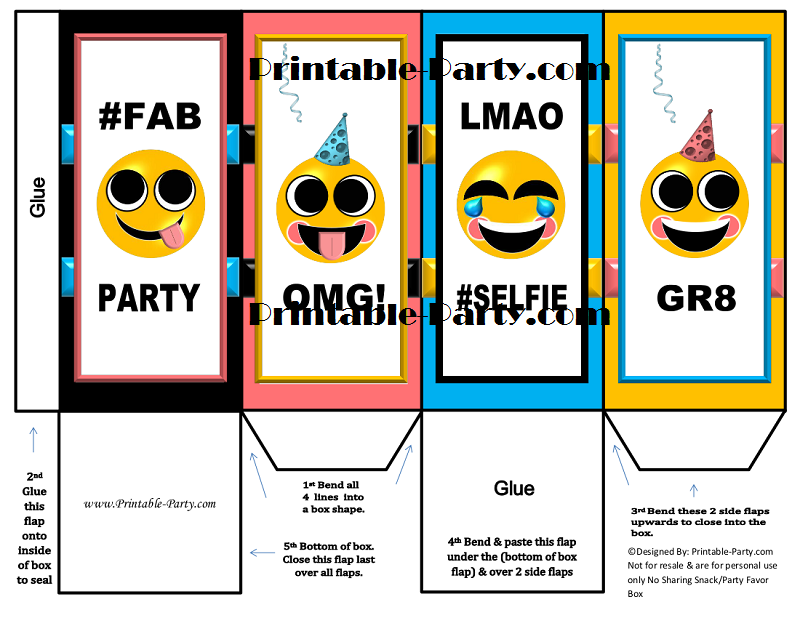 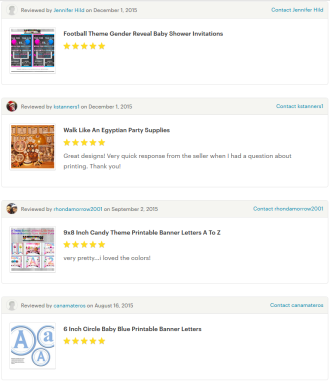 Emoji printable birthday party supplies are fantastic & stylish. 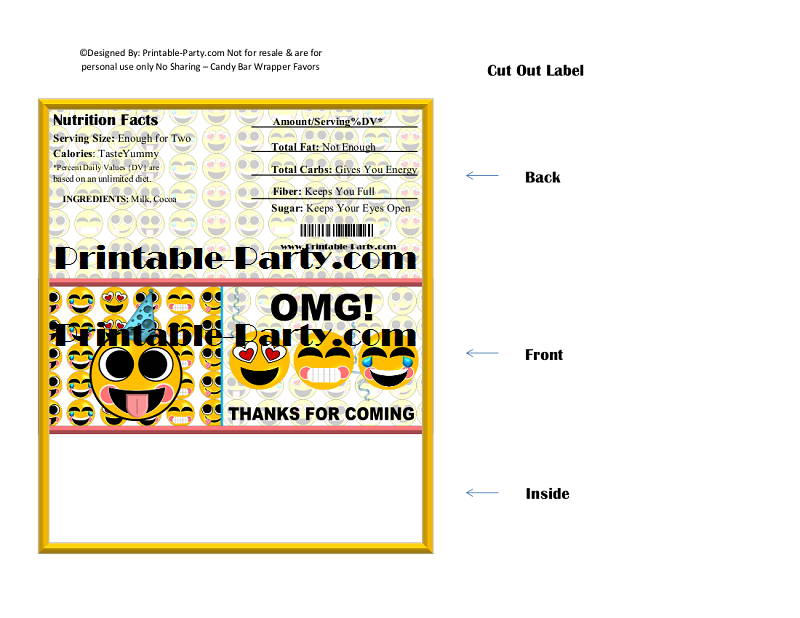 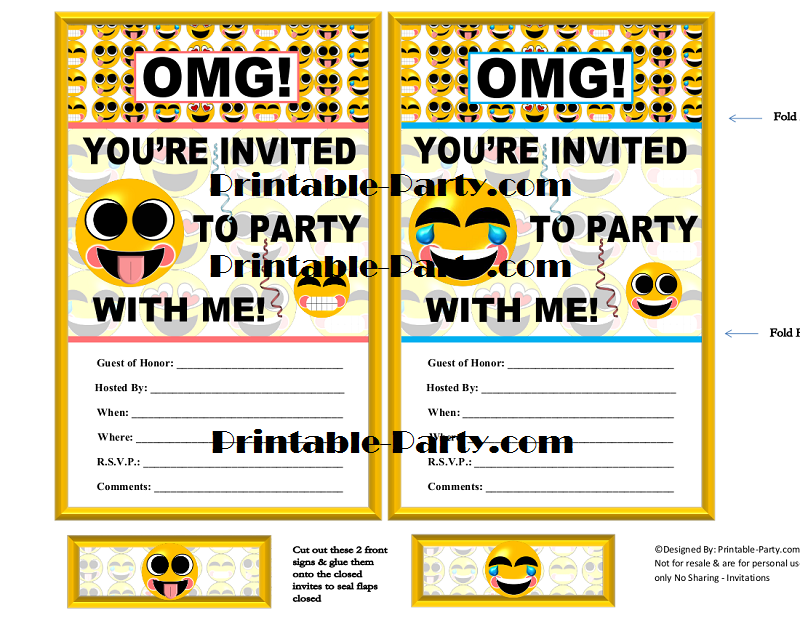 Create a fun filled celebration with emoticon party decoration seen exclusively right here. 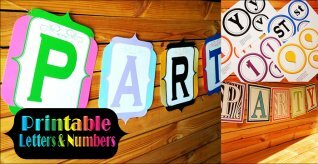 8x8 Inch letters A-Z, 0-9, TH,ST,RD,ND, 6 Designs. 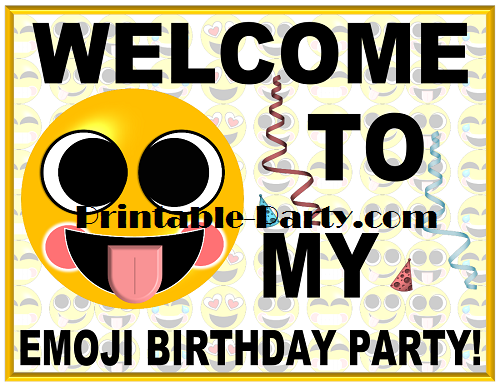 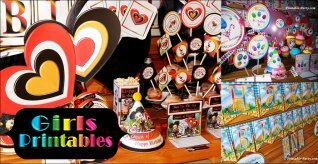 Also includes emoticon faces for decoration or hanging as a banner with 6 design of characters. 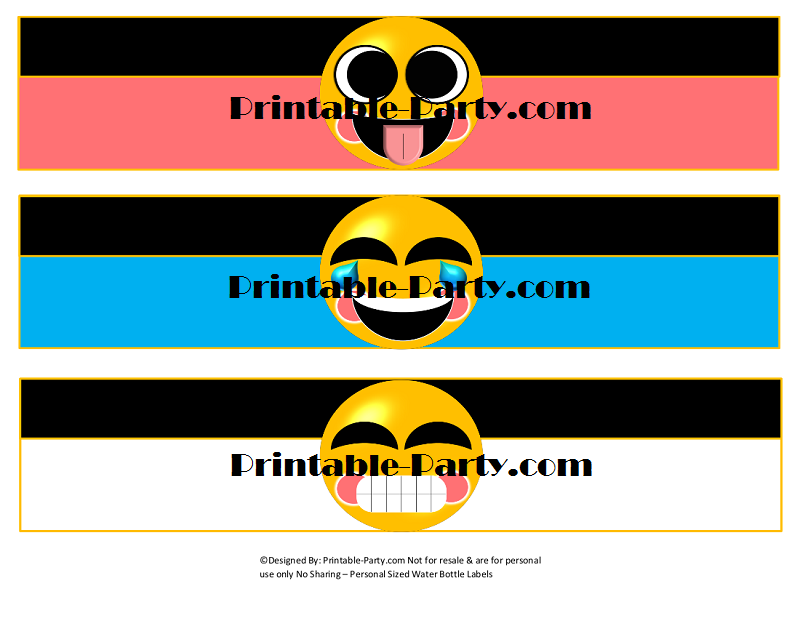 Standard cone party hat 2 Designs. 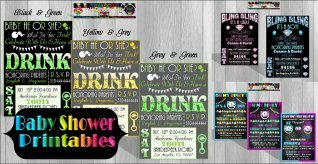 Mini cone bottle topper hats 4 Designs. 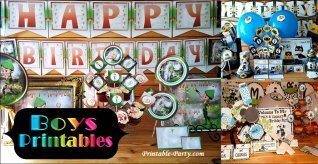 Mini hats can be used as bottle toppers or they can be used for table decoration.